Andromeda is an academic publisher of high quality, peer-reviewed, open access journals covering a wide range of academic disciplines. It was founded in December 2017 by a distinguished group of academics and scientists from the United Kingdom, United States, and Egypt. Andromeda is committed to good practices in open access publishing. All our online content is: Freely available for everyone immediately upon publication with no embargo period. Freely accessible by our readers without requiring any registration process. Freely available for unrestricted reuse, provided proper credit is given to the original author in accordance with our licensing terms. Arabic and World Literature: comparative & Multidisciplinary prospective. A new open access journal that provides a forum in both English and Arabic for researchers investigating literature by Arab authors in and outside the Arabic-speaking world will be launched soon. 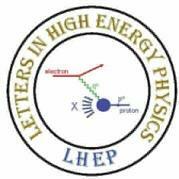 Letters in High Energy Physics (LHEP), launched in 2018, is a newly, peer-reviewed, open access journal published by Andromeda Publishing and Academic Services. It specializes in formal, phenomenological, and experimental aspects of particle physics. Additional topics covered by LHEP include astrophysics, gravity, and cosmology. LHEP publishes articles in a letter format where it provides the high energy physics community with a medium through which the researchers are able to publish informative summaries of the important findings in the field. JMAD is an open access portal that promotes excellence in research by publishing high-quality original research articles, brief research reports, and review articles related to all aspects metabolic adaptations and changes in response to physiologic as well as pathologic stressors. All basic and clinical work will be considered for publication in JMAD including studies in cellular, animal, and humans models and conditions. Although studies with translational potential are prioritized, rigorous descriptive and mechanistic studies that lead to progress in our understanding of basic molecular and cellular response to physiologic and pathologic stimuli will be considered. AWL is a new open access journal that provides a forum in both English and Arabic for researchers investigating literature by Arab authors in and outside the Arabic-speaking world. The journal promotes thought-provoking research on classical and modern, written and oral, poetry and prose, and literary and colloquial works by Arab authors. To reflect and widen the breadth and range of the growing research on Arabic literature, each volume is multidisciplinary in scope, and aims to explore the intersections of national literatures, global literary theories, and current trends in World literature. Andromeda publisher has inaugurated the conference proceedings publications through Andromeda Conference Proceedings (ACP). ACP has published its first proceedings (BSM) in High energy physics. ACP is dedicated to archiving conference proceedings from the whole spectrum of all branches of fundamental and applied sciences. We aim at providing the scientific community with the most recent findings in all fields of scientific research. We focus on the high quality of the conferences and to what extent, the scientific community will benefit from them. We offer academic services of different kinds through our network extending from the United state, United Kingdom, Egypt and India. Providing academic accreditation for courses provided by different training organizations. At Andromeda, we believe the open access model is the future of academic publishing. Making the results of research immediately and freely available to everyone is overwhelmingly appealing. Our academic team has experienced firsthand what it feels like to be restricted from accessing publicly funded research while being in the middle of one’s own scholarly work. Likewise, they have experienced the immediate benefits brought about by the rising popularity of the open access movement in the publishing industry. Our decision to adopt the open access model stems from the following facts: The model facilitates the dissemination of knowledge and is thus in line with our core corporate values. The model is practical and has a proven track record of success. Given its obvious advantages, as well as its wide appeal, the model represents the future of academic publishing. More details can be seen in the following video.